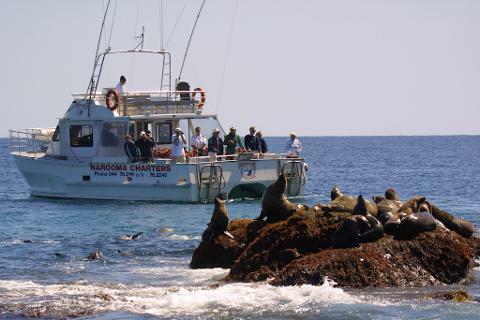 Montague Island located just 5 nautical miles off the coast from Narooma is one of diving's most diverse and best kept secrets. The islands unique location offers dozens of dive locations and the advantage of dives in almost any weather conditions. 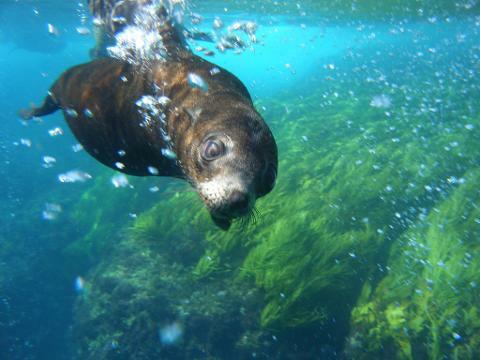 Montague Island is recognised as on of the top 10 dive locations in Australia. 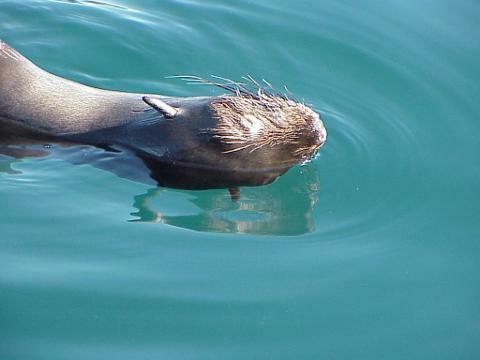 You can experience the sheer exhilaration of playing with up to 2000 very friendly, very agile, very playful Fur seals. 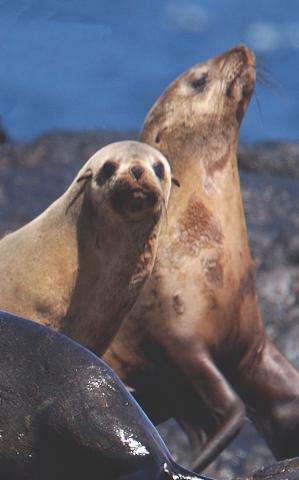 Or maybe witness one of nature's brilliant Humpback whales or the spectacle of a pod of dolphins or Orcas. Things to see. 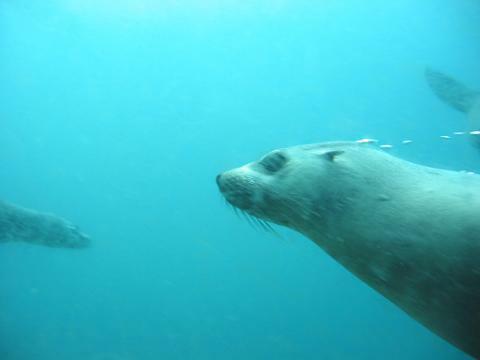 Seals, Whales, Seals, Dolphins, Seals, Manta Rays, Seals, Turtles, Seals, Tropicals, Seals, Coral Gardens, Seals, Swim Throughs, Seals, Bubble Cave, Seals, Pinnacles, Oh and Seals. Surprised ! 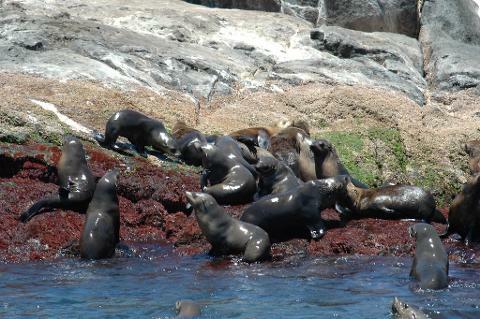 So are the many divers who are now discovering the charms of Montague Island on the South Coast of NSW. Because of its position it can offer different dives at different times of the year. 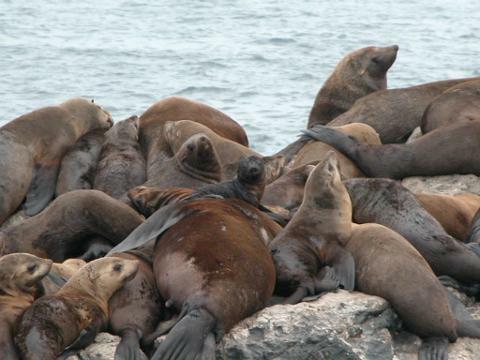 For example during the cooler months you can experience the sheer exhilaration of playing with up to 2000 very friendly, very agile, very playful Fur seals. 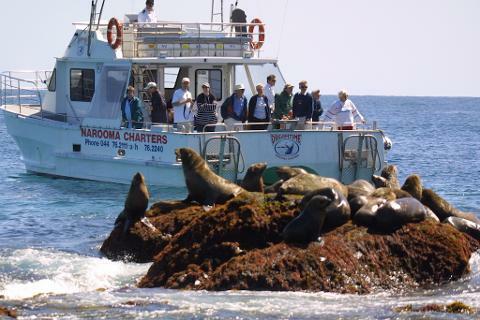 Or maybe witness one of nature's brilliant Humpback whales or the spectacle of a pod of dolphins. A few months later warm currents up to 25 degrees bring a mass of tropical fish and pelagics as well as the nutrients that feed the coral, nudibranchs, giant tube worms and gorgonea fans. It also brings with it creatures not normally seen this far South, creatures like the occasional turtle , manta or sunfish as well as the usual hordes of kingfish, trevally and hosts of other reef species . 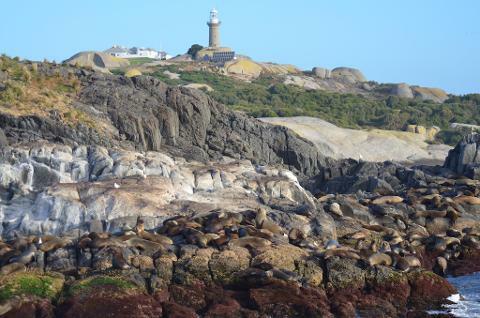 We also have 400 to 500 seals staying for the summer months. 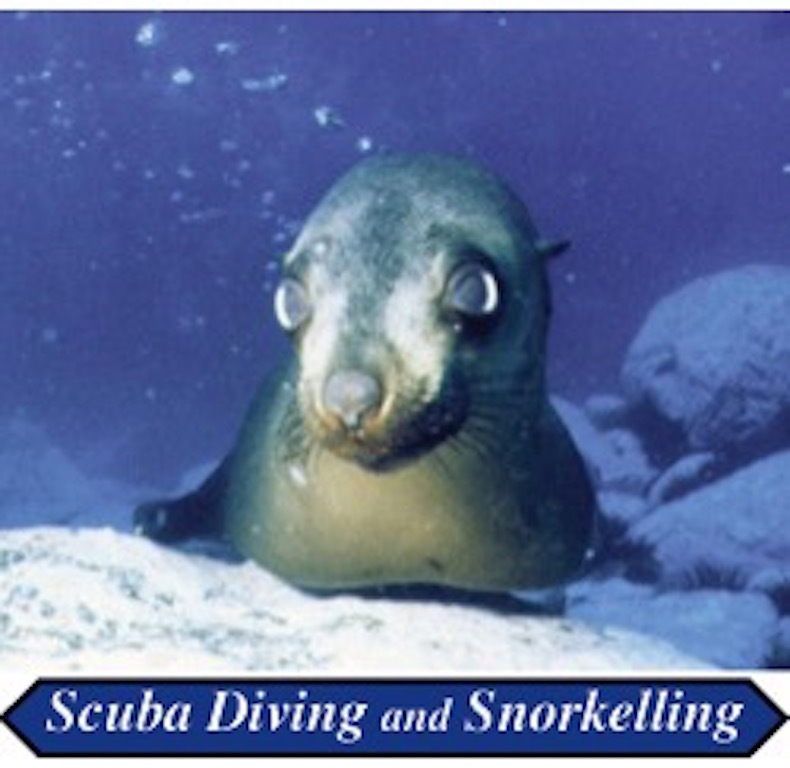 Every diver who experiences the joy of swimming with these cute playful wide-eyed creatures emerges with a feeling of amazement at the friendliness of these furry funsters. 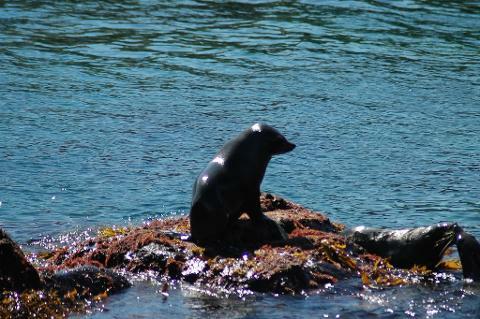 Its an easy dive with most of the seals sunbaking on the surface within 20 metres of the anchored boat. Yet when a diver enters the water they just can't help themselves and come charging over to show off their agility to the strange clumsy creatures with bottles on their backs or snorkels in their mouths. full facilities, sit down dive racks and twin entry / exit ladders and we will go out of our way to make your dive's as pleasant and relaxed as possible. Add to this special accommodation, group rates, air fills, is it any wonder its the most popular operation in the area. So what are you waiting for, come on down and indulge yourself !! 1. 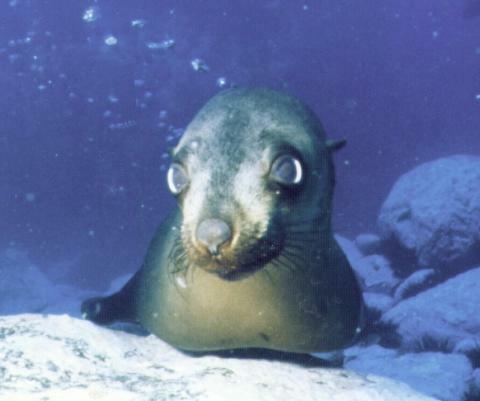 Seal dive- up to 2000 Australian Fur Seals August to Dec.and 200 to 500 Fur seals January to August. 2. Several rock walls with abundant fish life incl. Groper and tropicals some reported to be only found north of Lord Howe Island. sightings of Kingfish, Tuna and a host of other species to numerous to list.